Whet your appetite with Rundle Street. Here, you can grab a coffee with the locals at Cibo, before strolling around the tranquil Botanic Gardens and treating yourself to dinner at Orana. Its imaginative tasting menu is packed with delicious ingredients from Adelaide’s hills, forests and shores. Buzzy Central Market is a great place to check out more foodie delights, before getting a culture fix at the South Australian Museum, with its fascinating natural history exhibits, or the Aboriginal collection at the Art Gallery of South Australia. The wine around Adelaide is some of the best in the world. You’ll find two beautiful, highly respected producing regions within 90 minutes of the city. McLaren Vale is 20 minutes away, and the acclaimed Barossa Valley, known for its Shiraz, is also nearby. 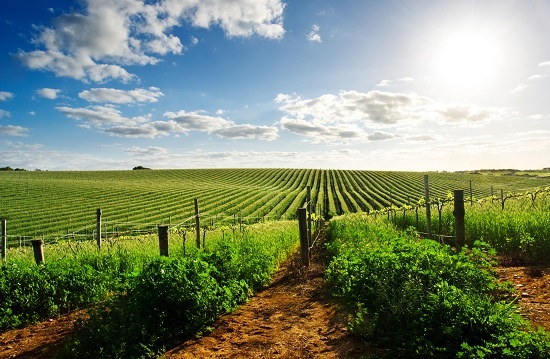 Slightly further afield is Clare Valley, with its boutique wineries and award-winning Rieslings and Cabernet Sauvignons. With this level of temptation on offer, a tour is a must. Sample the wines, enjoying leisurely lunches in the excellent vineyard restaurants, and slowing to rural South Australia’s relaxed rhythm. You won’t regret it. The rolling hills and rugged ranges of South Australia provide the perfect backdrop for adventure. 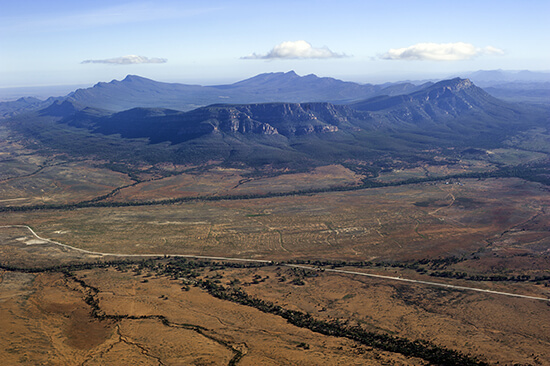 Head out on the highway to the Ikara-Flinders Ranges National Park where picturesque hiking trails await, before taking a short scenic flight to appreciate an overhead view of the park and stunning natural mountain amphitheatre of Wilpena Pound. For unique wildlife encounters, drive through the photogenic Fleurieu Peninsula, then hop aboard a ferry to Kangaroo Island, one of the country’s havens for native species. Furred, finned and feathered: all of Australia’s creatures seem to be here, from wallabies to koalas, echidnas to kangaroos, while the ocean abounds with whales, seals and penguins, too. 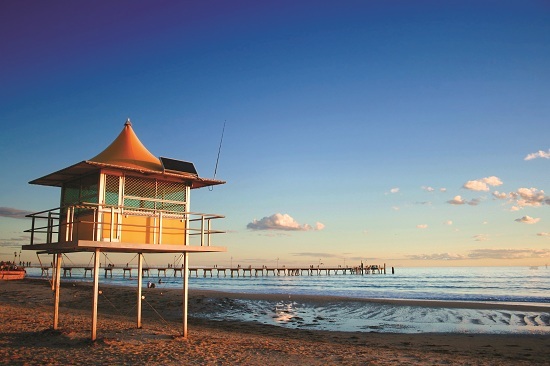 Before you head back to the UK, dedicate some time to the beach – the coastline around Adelaide boasts some of Australia’s finest. There’s a pristine stretch of golden sand for everyone, and plenty of sunshine to match. It’s a recipe for relaxation. The coastal resort of Glenelg, a stone’s throw from the city, is a favourite, offering much more than sun and sea with museums, galleries and a wooden pier. Enjoy these, then end the day swimming with wild bottlenose dolphins. Wish you were here? Chat to one of our Travel Experts about booking your tailor-made holiday to South Australia – our South Australia in Depth Journey offers an amazing 14-day itinerary from £2,379pp.